Tycoons of the city’s Gilded Age built an impressive collection of skyscrapers to showcase their might. Pittsburgh Magazine columnist Mark Houser shares some of the amazing discoveries he has found while digging into the stories of these century-old wonders and the characters who built them. 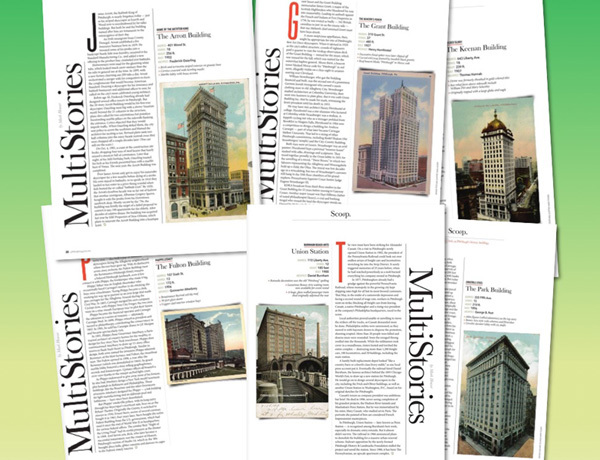 About the presenter: Mark Houser writes “MultiStories,” a monthly column about antique skyscrapers in Pittsburgh Magazine. His recent TEDx Talk explores Pittsburgh’s bridge history, and he also created a free Downtown audio walking tour that is available in 11 languages. Houser is the director of news and information at Robert Morris University and a former reporter for the Pittsburgh Tribune-Review. This lecture is FREE to the public. RSVPs are appreciated: marylu@phlf.org or 412-471-5808 ext. 527.